Michael Laush, left, was in Vail with his friend Slavko Kucinic celebrating their 40th birthdays. Michael Laush, of Ohio, was buried face down in snow on Vail Mountain on Saturday. 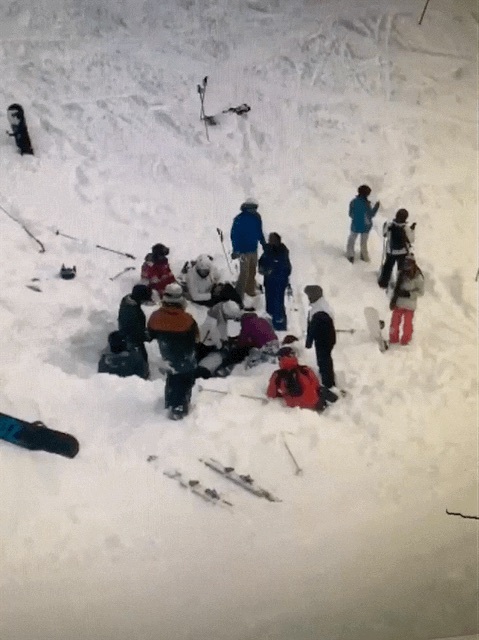 A group of people passing by helped pull him from the snow and give him CPR. Michael Laush's family came to Vail to meet with Tom and Karen Nern as well as Beth McCrann. Michael Laush plans on returning to Vail next year. 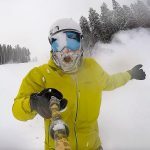 An Ohio man is alive and well after suffocating upside down in deep snow on Saturday in Vail Mountain’s Marmot Valley before some other skiers and snowboarders, including a CPR-certified doctor, came to his rescue. On Saturday morning, Vail Mountain reported an 11-inch powder day, with 20 inches of new snow in the previous three days. Chair 21 closed for parts of the day so that ski patrol could evacuate Laush from the mountain. 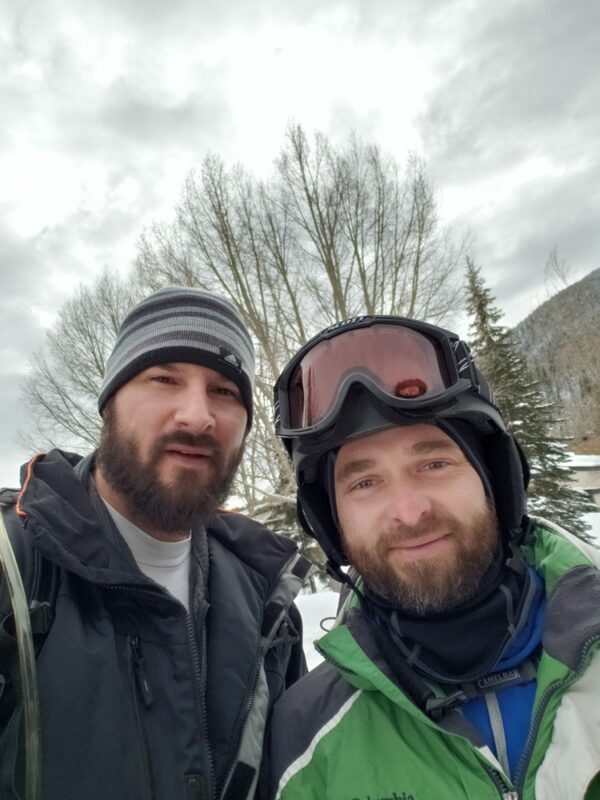 Michael Laush, left, was in Vail with his friend Slavko Kucinic to celebrate their 40th birthdays. 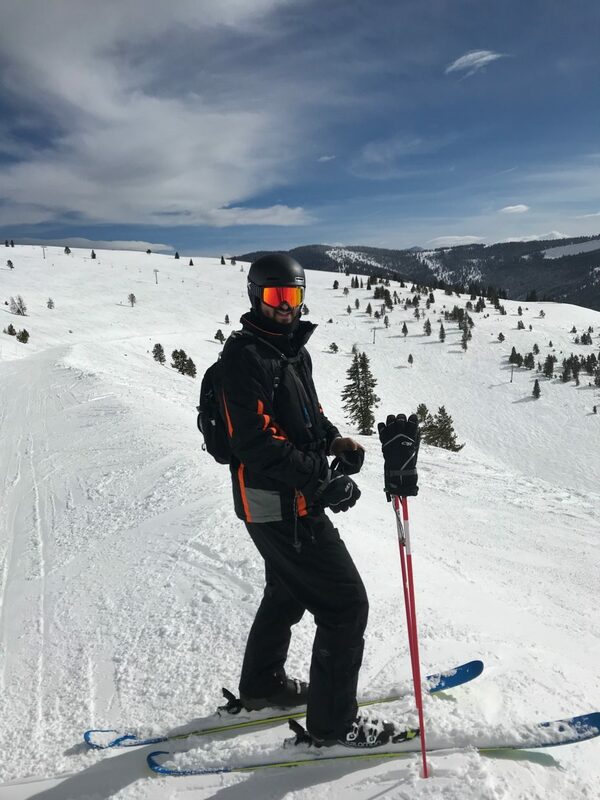 Tom and Karen Nern, of Vail Dermatology, were on Vail Mountain with their team having a ski day with doctors and providers, heading for the Back Bowls. Tom credits this woman for being the first person on the scene, although they weren’t able to exchange information following the incident. “When I got there, there were two ski boots sticking out of the snow,” Tom said. The Nerns, along with others who skied or snowboarded by, began to try digging Laush out of the snow, including a ski instructor. “It probably took six or seven minutes to get him out,” Karen said. Laush said he stands 6 feet 6 inches tall and weighs 270 pounds. Beth McCrann, a retired OBGYN, was out at Vail enjoying a day with family when she came across the incident. Pulling Laush’s body out of the snow was only half the battle, though. “He was bluer than blue when we got him out,” McCrann said. The Vail Dermatology team includes a staff member who teaches CPR, and the company offers it to all of its employees. Karen got her recertification about six weeks ago. While Karen gave three sets of chest compressions, McCrann provided about six to eight breaths. With local organizations like Starting Hearts, sudden cardiac arrest is something everyone should be trained in, Karen said. Michael Laush’s family came to Vail to meet with Tom and Karen Nern as well as Beth McCrann. Laush made a quick recovery after being taken to Denver hospital. He has spoken to the Nerns and others, expressing extreme gratitude. 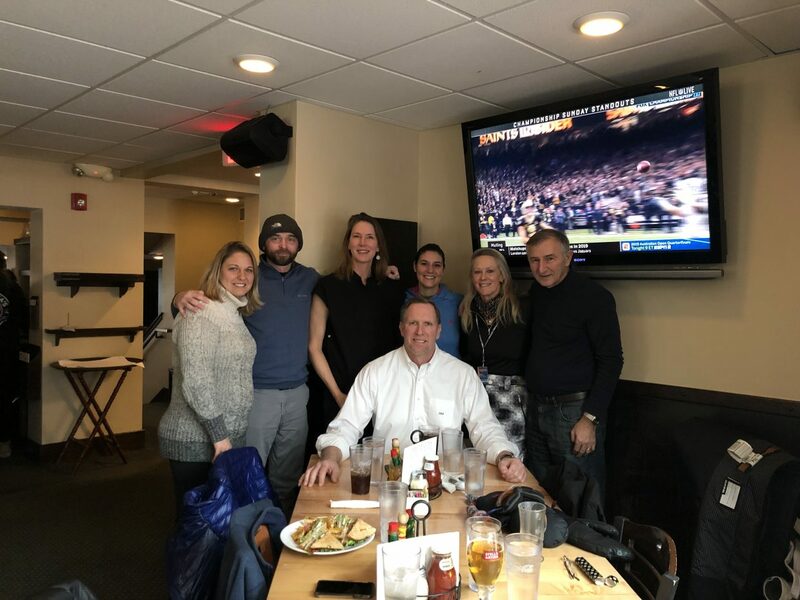 On Monday, his father and sisters came to Vail to have lunch with the Nerns and McCrann. “There’s nothing I could do on Earth to thank you for giving me my life back,” he said. Laush returned to Ohio this week, where he works for a power generation company. Vail Ski Patrol also acted swiftly. For Laush and all those involved, a little luck and being in the right place at the right time helped save a life on Vail Mountain. “I can tell you right now that I have every intention of coming back next year and skiing Vail with them,” Laush said of his angels on the mountain.